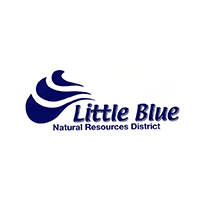 The Little Blue NRD Board of Directors held a Regular Meeting at 7:00 pm on February 12, 2019, in Davenport, Nebraska at the headquarters Board Meeting Room located on the south side of the building, east door. 4. Note: The Open Meetings Act is posted by the west door. 15. Other Business – Opportunity to introduce an item for reference to a committee or placed on next month’s agenda.